Little Weirdos: Mini figures and other monster toys: The Real Ghostbusters: new companion ghosts guide! The Real Ghostbusters: new companion ghosts guide! I don't know about you, but my favorite part about Kenner's The Real Ghostbusters toys as a kid was the little companion ghosts that were included as accessories with many of the figures. Most of the sculpts for these little ghosts had fun, nicely done sculpts, and there was just something so cool about having little weirdo creatures included for the heroes to fight. Also, they were monochromatic, and some of them made of clear plastic, which are always pluses around here. I did a post on these guys a while back, but I just recently managed to finish my collection with all of the sculpts (group shot above!). That means I've also been able to finish a project that's been about a year in the making--a guide / checklist for all of The Real Ghostbusters companion ghosts! In addition to photos of them all, this guide includes names, series, year, and which figures or vehicles each came with. If you're interested in this line, hopefully you'll find it helpful. Great and thanks! Hope you find it useful. Dude I am so glad you made this checklist. I have also always enjoyed these smaller ghosts and having photos of all of them in one place is very helpful to me. My Boo-Lets are in opposite colors then what you show, I guess they just ran them off in whatever color for each design. Thanks again, totally downloaded this! Well done! Can find this kind of info nowhere else, thank you. Congrats on completing the collection, it looks great! And thank you for the guide, definitely gonna get some use out of it! Sure thing! 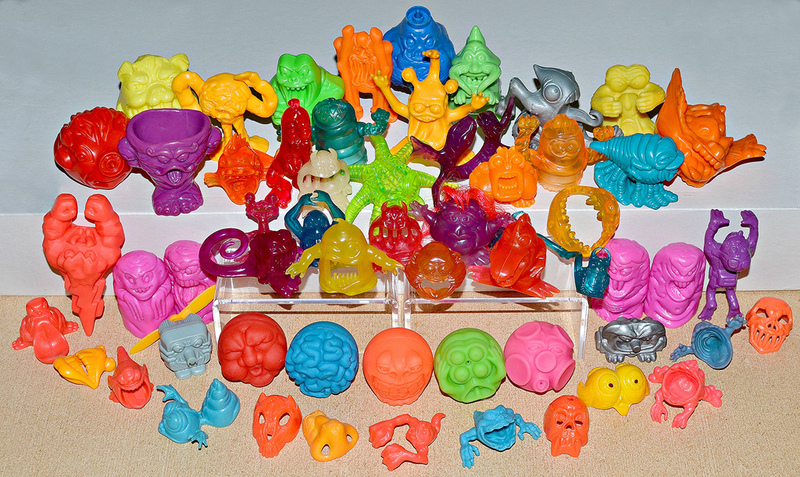 And speaking of mini ghosts, have you seen Mattel's new Ecto Minis blind bags hitting stores right now? I have seen pics but not in person yet. Have you got any? I picked up a few of the ghosts, they're pretty cool! Most are translucent with detailing inside the figure, plus glow in the dark! I posted some pics on my Instagram account @spacemason. These guys were my favorite too, I recently found some of them on ebay thanks to your checklist! Awesome job, thank you!